Mr. Letchworth brought Mary Jemison (Dehgewanus) home to the Genesee Valley in March of 1874. When her grave near Buffalo was threatened, Jemison descendants had asked Mr. Letchworth if their Grandmother could be buried on his Glen Iris Estate. He consented and made arrangements on the "Council Grounds" which he had established a few years earlier. The images below were taken the day in which Dehgewanus was reinterred with solemn ceremony on the Council Grounds. For more information see Mr. Letchworth's account of the reburial. 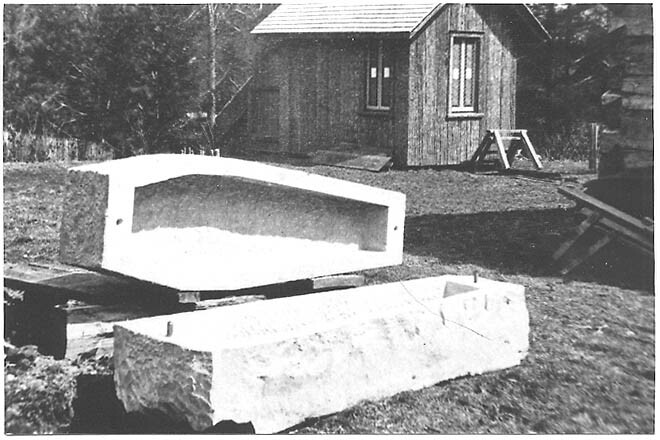 In this first photograph the stone sarcophagus awaits the "Old White Woman's" coffin. To the right, behind the wheelbarrow, is the corner of the Council House. Behind the sarcophagus is the original entrance lodge to the Council Grounds. 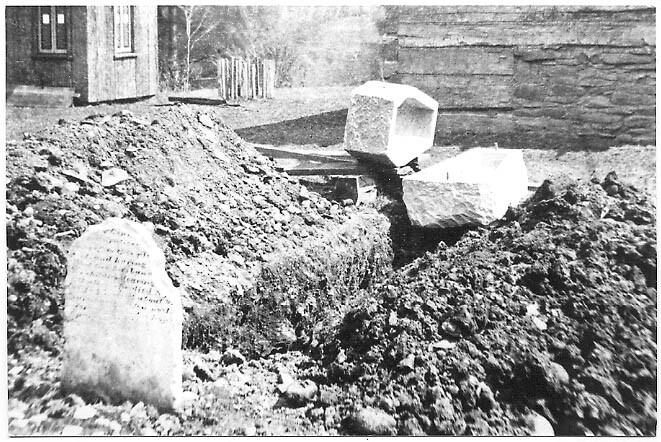 This photograph shows the sarcophagus at the foot of the recently dug grave. The original tombstone from the Buffalo Creek Mission grounds has already been placed. Note the apparent short distance between the grave and the Council House in the background. After Mr. Letchworth's death the Council House and other features of the Council Grounds were moved or removed. The Council House was moved away from the grave. Recent restoration work on the Council Grounds has returned the Council House to the location in this photograph. 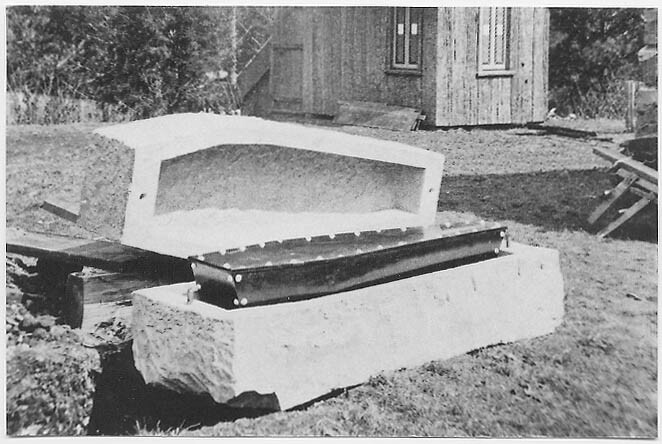 This last image shows the Mary Jemison's new coffin "of solid black walnut, elegantly mounted in silver" in the sarcophagus which was later "closely sealed with cement." For a detailed description of the ceremony see Mr. Letchworth's description of the reburial of Mary Jemison. Also see the Mary Jemison Epitaphs.